The widest vessel ever worked at PortMiami floated through its deepened channel last week. Carrying 9,400 containers, Panama-registered MSC Giselle sailed through the 50- to 52-foot channel, which now can welcome 14,000-container ships, far above the 5,700 limit before. “It’s a sign of the future,” said Port Director Juan Kuryla, alluding to a recently completed $220 million dredging project. The port is now post-Panama Canal expansion ready. Mr. Kuryla said three of the world’s four major shipping alliances – 2M, Ocean 3 and G6 – are already here. The fourth is CKYHE (Cosco, K Line, Yang Ming, Hanjin Shipping and Evergreen Line). 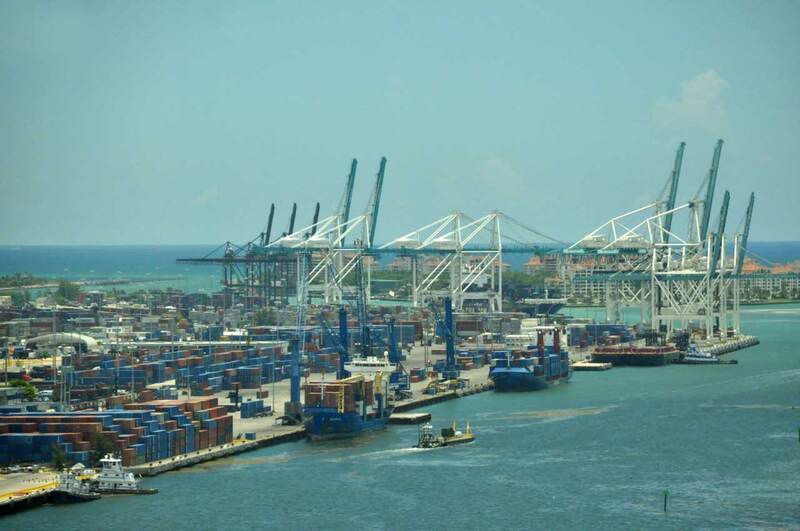 The port is “working very diligently to bring some of those services to Miami,” Mr. Kuryla said. Members of that alliance have already inquired about PortMiami’s draft and crane capabilities, he said. The port’s container traffic grew 14% to 15% in the year ended Sept. 30. China holds steady as the port’s No. 1 trading partner, while Guatemala, Honduras, Colombia and Peru were close behind. Another 15% to 16% of trade is with Northern Europe. The port has its eyes set on Mexico and Africa as future partners, Mr., Kuryla said. A few port officials are traveling to China next week with the Florida East Coast Railway to promote the port and its on-dock rail facility at the TransPacific Maritime Asia Conference. The port has invested more than $1 billion in infrastructure to accommodate the industry’s largest vessels, which will be turning their bows toward the Panama Canal once expansion ends next April. If this port is so much busier–Why are they and the County commission trying to lease out valuable land on the south-side of the Port? ?